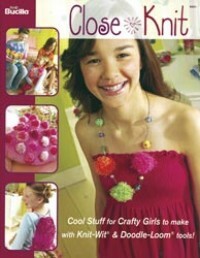 Great ideas for crafty children using the Knit-Wit and Doodle-Loom tools. Learn to make bags, scarves, jewellery and ideas for the bedroom or "den". A fun, bright book, that will encourage children to be creative.